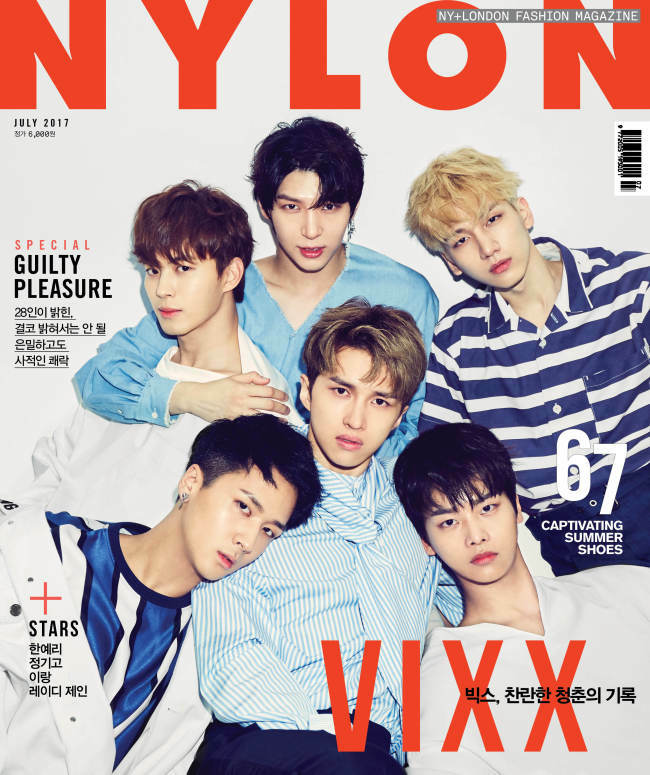 Boy band VIXX showed off on July cover of the Korean version of fashion magazine Nylon. 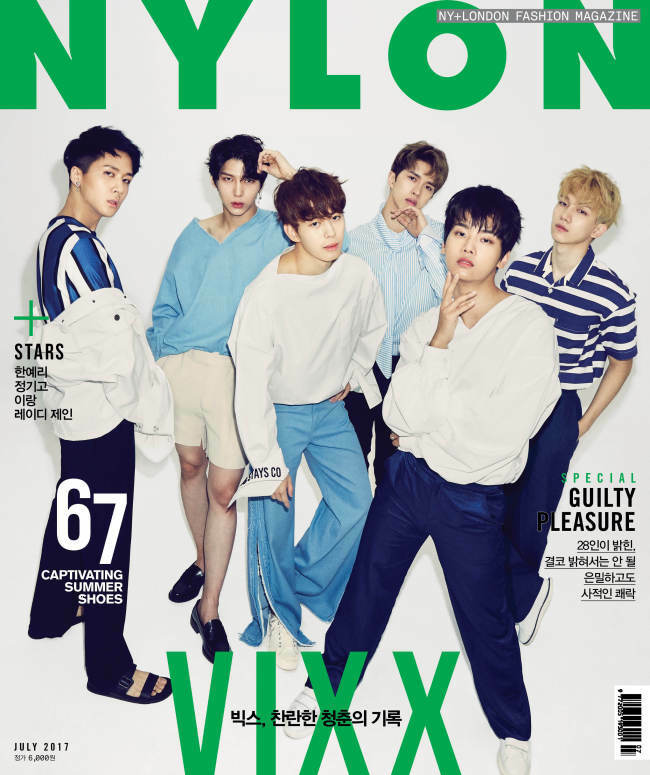 The cover, bearing the words “Youth VIXX,” has both a close-up and long shot of the five bandmates. In an interview with the photo shoot, VIXX talked about various episodes related to its recent EP “Shangri-La/Paradise on Earth,” according to agency Jellyfish Entertainment. Marking five years since the group’s debut, VIXX entertained fans with various activities in May. Starting with the EP’s release, it followed up with a concert and an exhibition of VIXX-related materials that covers what the bandmates had gone through over the past five years. After wrapping up the group’s EP-related activities, N, Leo, Ken, Ravi, Hongbin and Hyuk plan to carry out individual activities that include performances as solo artists and acting.